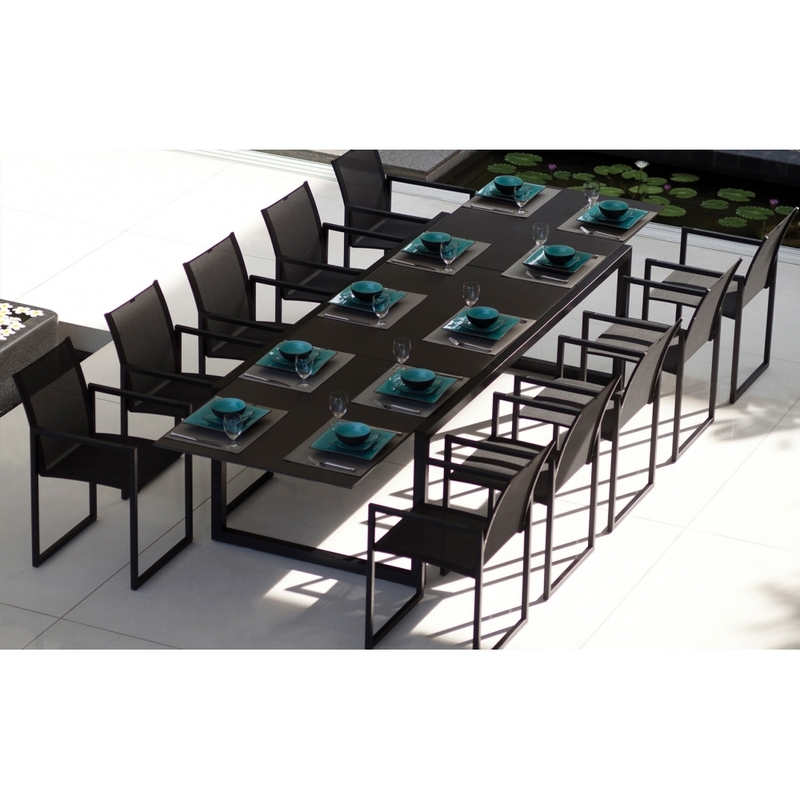 Cool and sophisticated, the Ninix 10 Seat Dining Set will instantly update your outdoor dining space with a touch of understated modern glamour. The architectural ‘Director’ style chairs and extendable table are available in a wide choice of beautiful, quality fabrics and frame finish to complement your scheme. Choose from ceramic or teak wood table tops to complete your look. Royal Botania has earned a global reputation for blending design and quality with the finest materials to create outdoor furniture and lighting to suit the modern requirements of luxury living. We’d be happy to advise on pricing and availability as well as suggesting fresh ideas to help complete your look. From initial planning to finishing touches, our experienced designers are always on hand to help at any stage of your plans. Why not get in touch today?